The Mackenzie, a spacious gathering place. 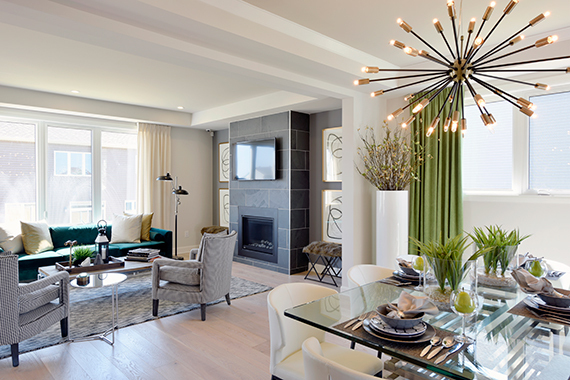 The Mackenzie is a home of wonderful contrasts, where open, flowing layout meets intimate warm spaces. It’s a marvel of contemporary design, blending rich, natural, finishes with sleek modern fixtures. This home is all about connections — the past and the present connected through design accents, and open flowing spaces designed for large family gatherings. Wide-plank white oak hardwood floors, paired with stunning black slate tile laid in a herringbone pattern are a nod to generations past, while large windows fill the rooms with natural light, accentuating the openness and scale of the space. As you enter the home through the generous foyer, a bright and airy den greets you to your right, perfect as an office or quiet retreat. An ample closet and discreet powder room complete the main hub of this family home. The open flow of the dining room, great room, and spacious eat-in kitchen continues the relaxed, yet stately feel of the Mackenzie, with rustic elements paired with modern lighting and contemporary furnishings. 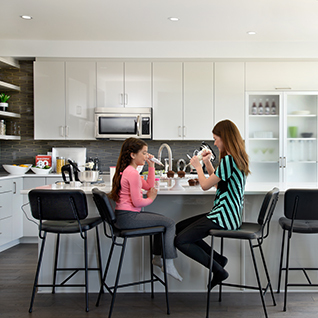 The Mackenzie kitchen is a spacious and warm gathering space. The welcoming grey quartz island is sure to be the centre of the home for family gatherings and evening entertaining. The modern flat door cabinetry is as durable as it is beautiful, with a place for everything, and everything in its place. The Mackenzie mud room helps transition from outdoor spaces to inside — perfect for storing all those muddy boots, wet umbrellas and snowy jackets. Finished in a natural black slate inspired tile, this mud room has utility, beauty and space to spare! The Mackenzie’s staircase is a central design feature of the home. As you walk upstairs, the staircase is a natural divide, ensuring privacy for the large master suite — a glamorously retro master bedroom and ensuite sanctuary. The other wing of the second floor has two well proportioned bedrooms adjoined by a Jack & Jill bathroom. 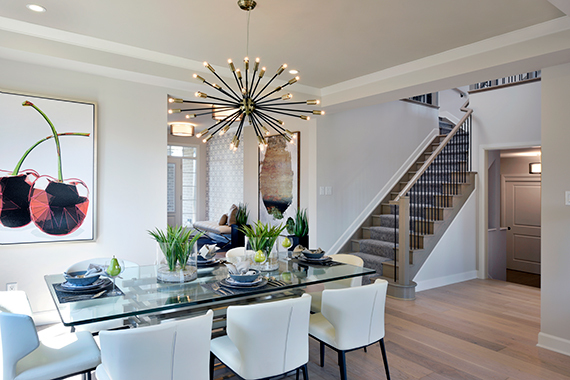 You can find the Mackenzie Model Home in Arcadia, Kanata. 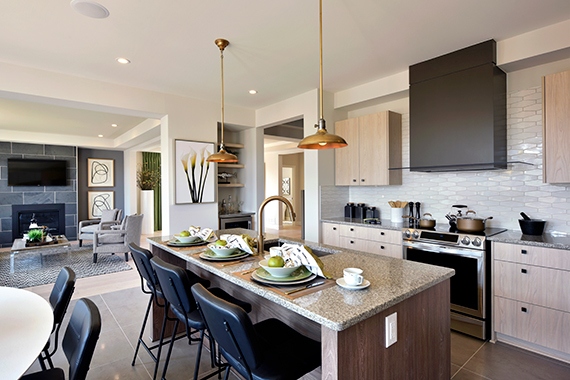 Visit our stunning collection of Single Family Model Homes in Arcadia in Kanata and Avalon Encore in Orléans and discover Minto’s new designs for yourself. 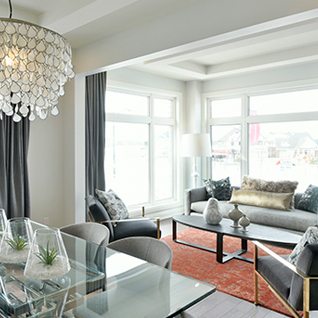 Finishes, flex plans, and décor described are unique to this Mackenzie Model Home, and may include features that are additional investments through the Minto Design Centre. Availability is subject to change without notice.